With more than 20 years experience as an interior designer, Miriam Fanning has built a strong reputation in the design industry. Miriam has been involved in many types of design projects ranging from residential, through to hospitality, hotel, retail and large scale retail. 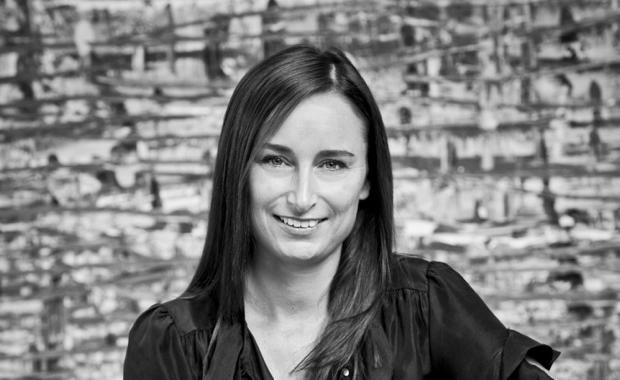 As the founding Director of Mim Design, Miriam believes in continually being inspired by surrounding environments and seeks a strong sense of design and rational use of purpose for each individual project. Her ability to build and nurture client relationships ensures the studio is an approachable environment, and her passion for visually exploring and achieving high quality standards ensures each project is well considered, crafted and designed for a reason. How important is it that apartment interiors feel like home? There are so many apartment developments on offer, but what distinguishes great design is creating a 'home'. Clever planning and attention to detail are integral. Interiors should have a sense of personality within spaces and should not just present as a piece of joinery within, and attached to, walls. It's important that residents feel as though they can enjoy and live comfortably in their apartment, in the same way they would live in an individual dwelling, where the focus is on planning, external views and internal aspect. Planning and aspect should always be taken into account with apartments, via key joinery and interior elements. As a studio, we strongly adhere to this philosophy when working on apartment developments, ensuring planning and aspect are carried through. It's also important to create a sense of symmetry and a level of detail across many components, from kitchen design and bespoke lighting, through to bathroom finishes and vanity cabinetry. These elements work to bring an interior together. How can you create a sense of luxury in an apartment? Great luxury design encompasses cleverly planned space with careful curation of tailored elements that align with the architecture, demographic and location. Optimum internal planning ensures a subconscious enjoyment of space. Luxury should look effortless but feel great. Have you noticed any changes in the way apartment residents use their rooms? Yes, as humans we are always evolving. Much of this has to do with technology and individuality, and we are increasingly seeing nooks for laptops, charging stations for electronic devices and filing for everyday living. People are always looking for feature elements that enhance their interests, whether that be a walk-in cellar, or an amazing hanging system for their artwork. Rooms have changed greatly and that's particularly evident in bathrooms, which are now more like wellness and lifestyle spaces, with the inclusion of steam showers, ergonomic baths and the integration of sound and visual systems. What are some example of where apartment developers have got it right and why? I really believe the developers that get it right are those that lead the market and focus on a product they would want to live in, such as larger format apartments with natural materials and the integration of outdoor living spaces. The best developers care about the finer details of joinery and product. This high level of attention to detail is what defines a great apartment development and ensures its timelessness. Mim Design doesn't focus on developing a certain look across projects. Is that deliberate and why? We aim to create different interiors and designs for every development and we do. Each of our designs responds directly to the environment, architecture and potential resident. We are not aiming to have a signature Mim Design look. Rather, our focus is on achieving quality design, planning and detail that is timeless and highly responsive to the brief. Who are you three favourite architects? I really love Richard Neutra's work, especially after visiting many study homes in the United States. Richard Meier is another favourite, whose sense of proportion and solidarity I admire. I also love Jaime Hayon's style. He has an incredible ability to design beautiful interiors and objects of whimsy, on a smaller scale. What is the most pressing issue facing your industry? The most pressing issue facing interior design is individuality and the ability to create something truly new in a landscape of abundant developments. In my opinion, designers should always look and think beyond what's already been made, and avoid creating projects with a sense of sameness. Life in general inspires and drives me. I think that if I wasn't inspired I wouldn't be able to do what I do. Individuals who have inspired me throughout my career have turned into mentors and amazing people that make me challenge myself, and that list extends from my former boss at the Buchan Group, to my best friend who always makes me see the light in everything. That said, my greatest 'cheerleaders' are my family. Since the early days, they've always encouraged me to give things a go and give my best. What's the highlight of your job? The highlight of my job is being able to work alongside my family and my team. Our studio includes an amazing group of people and we are lucky to see the most beautiful things every day.